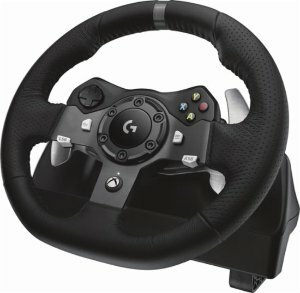 Best Buy offers the Logitech G29 & G920 Driving Force Racing Wheel for $199.99. Features: Feel every tire slip, brake fade and weight shift as you careen around curves, speed down straight-aways and move through traffic thanks to the precise dual-motor force feedback. Experience smooth and quiet steering action with the helical gearing that helps reduce unwanted noise and vibration, and antibacklash that ensures tight steering and pedal control.